Turkey is a country that is a feast for the senses. 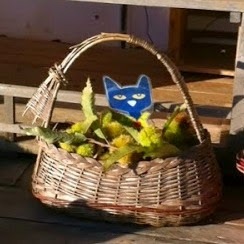 The colours of the landscapes, the local produce and the wares sold at every market. The bustling noise of the markets. And the food. I was not prepared for how delicious the food would taste and smell. 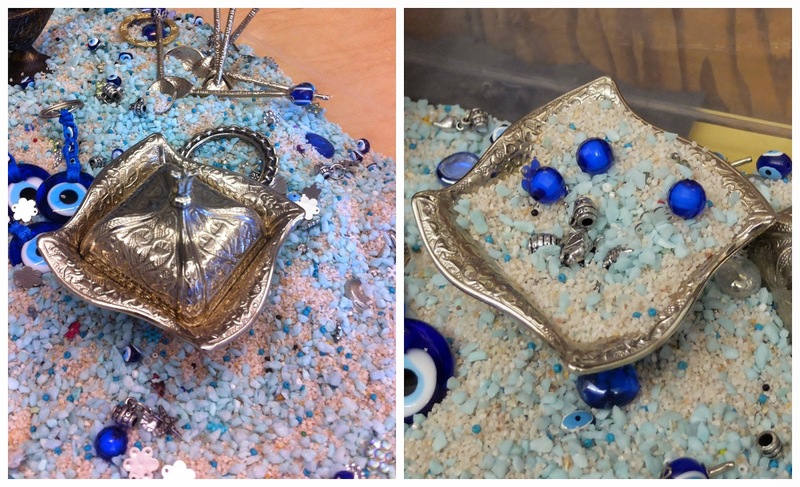 Walking through the markets, I knew that a bit of Turkey would come home to start off a Turkish Bazaar Sensory Bin. 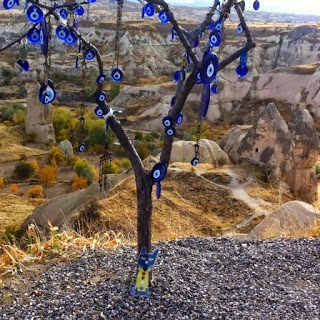 When we were in Turkey last year, we saw evil eye amulets everywhere. 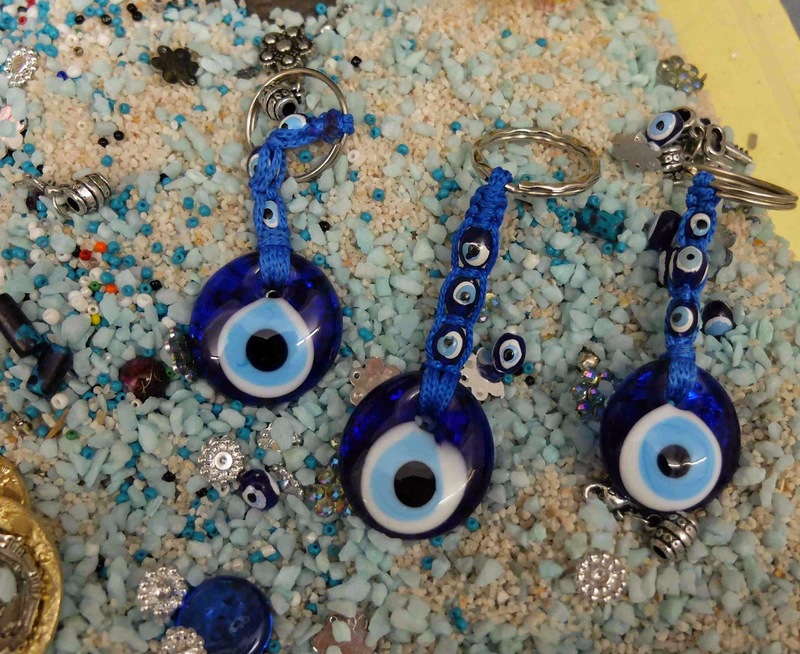 They are meant to ward away bad luck. My students last year asked that I get one for the classroom. It is hanging on a wall - hopefully doing its job. 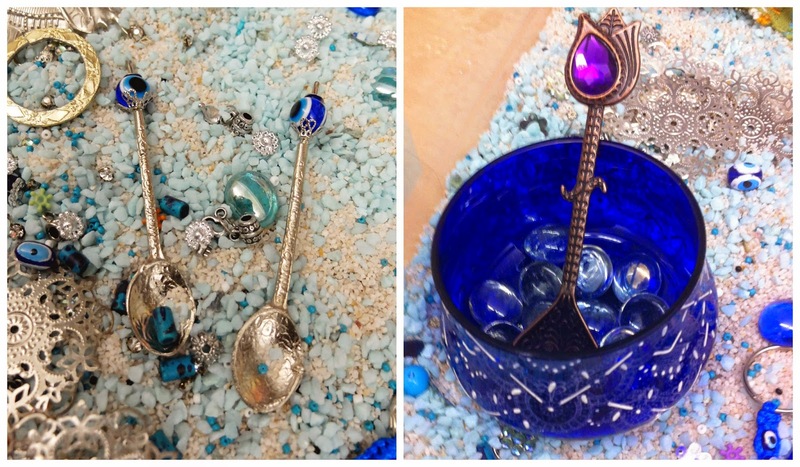 Turkish coffee spoons make great scooping and pouring tools. My kids always like containers in our sensory bins. The lid on this one makes it "special". Thrift shops are such a wonderful source for so many things. Just as I was putting together this bin, I was given a bunch of broken jewelry pieces from the thrift shop. The perfect addition to the bin. 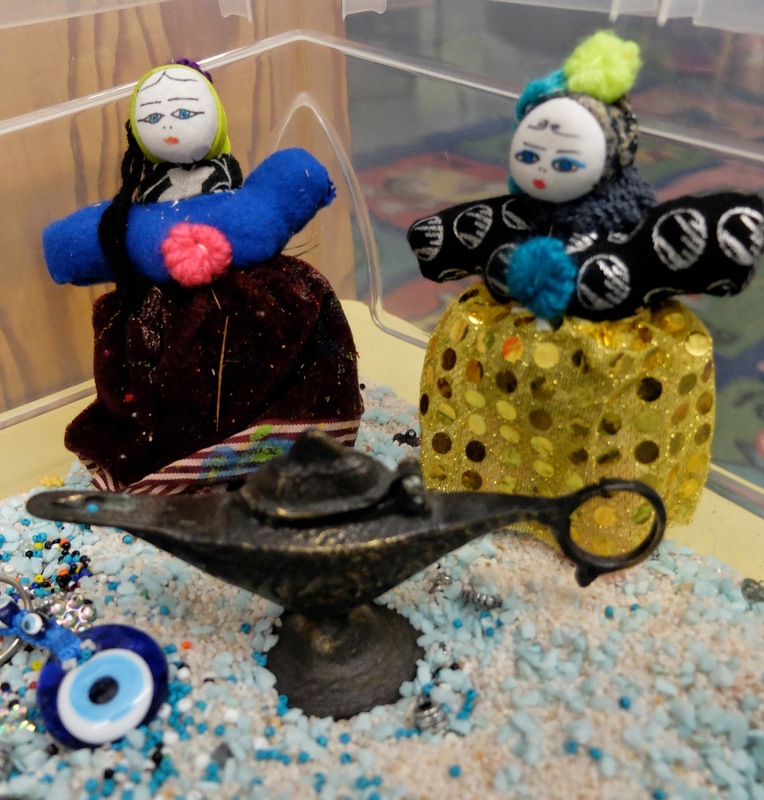 I thought that the dolls and the lamp would inspire some small world play - and the resulting wonderful language and conversation. Not right now with this group of kids. They "decorate" with them. But no role playing. It's okay -- it's all good. This group of kids is into sorting and collecting and decorating and pouring and filling. All good sensory bin activities. 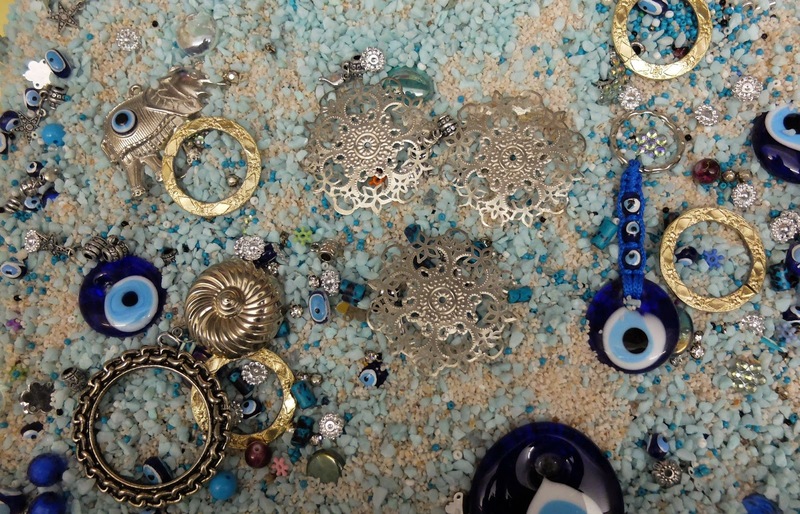 And searching for treasures is what you do at a Turkish Bazaar. There's so much rich conversation, wonderful descriptive words. 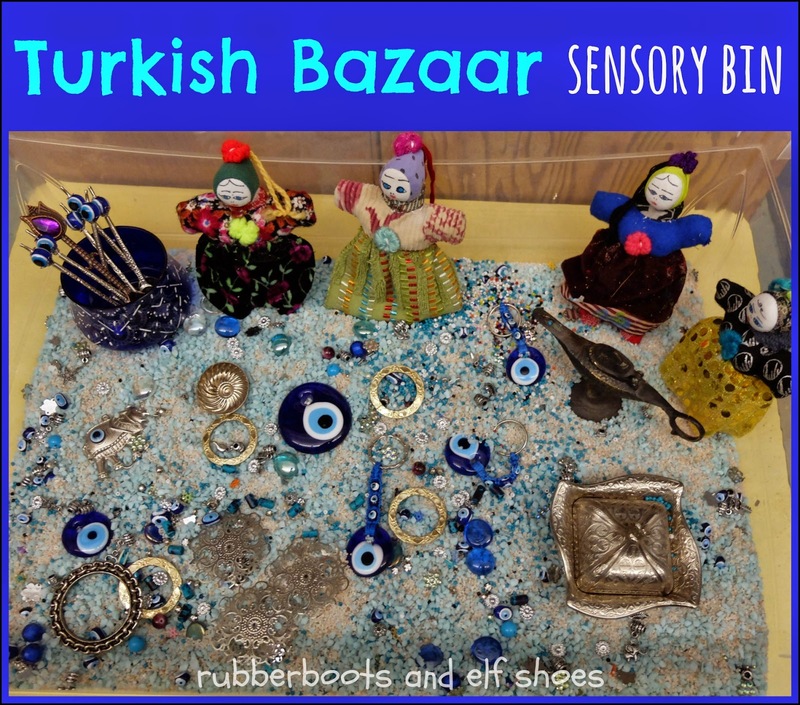 A Turkish Bazaar sensory bin is full of so many sensory possibilities. But that was not my only, or even my primary, reason for putting it together. This bin is a vehicle to introduce my kindergarten students to a different country, a different culture. Maybe to pique their interest the greater world outside their experience. As Todd Parr says in his book The Peace Book: Peace is traveling to different places. 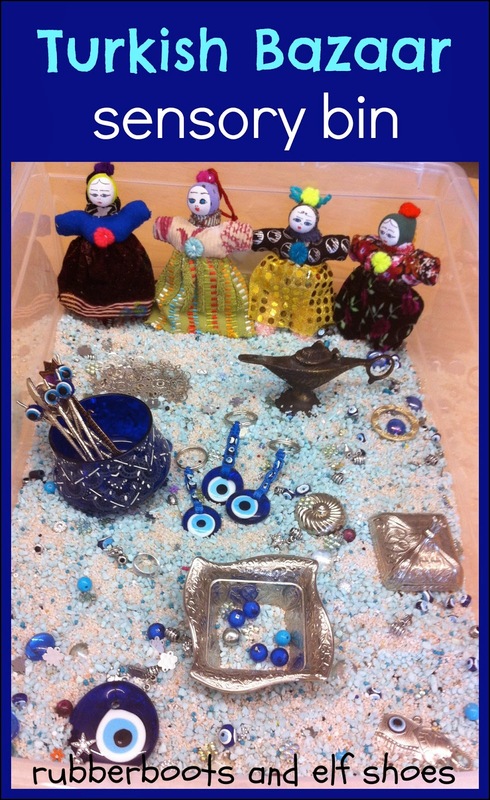 Families: wouldn't it be awesome to make memory bins. A bin about your own city/town. A bin about a holiday adventure - near or far. A bin that you can play with - and retell the family stories that make up a childhood. Teachers: Make a bin with important things about where your school is. If you go on a holiday, bring back a few bits and pieces to introduce your students to another part of the world. 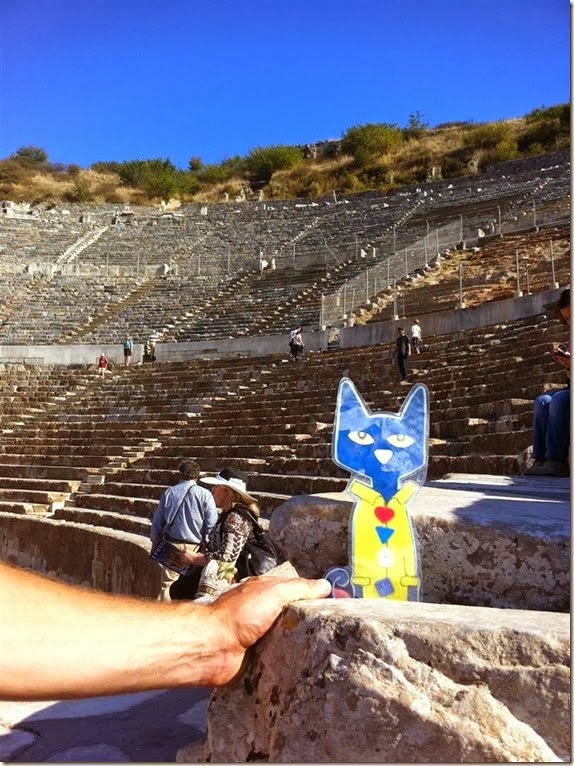 Read about some of our (Flat Pete's) adventures in Turkey - click on the pictures. I love this sensory bin. It is so beautiful. I want to play in it!! Thanks, Catherine. More than one adult has been caught with their hands in the bin! 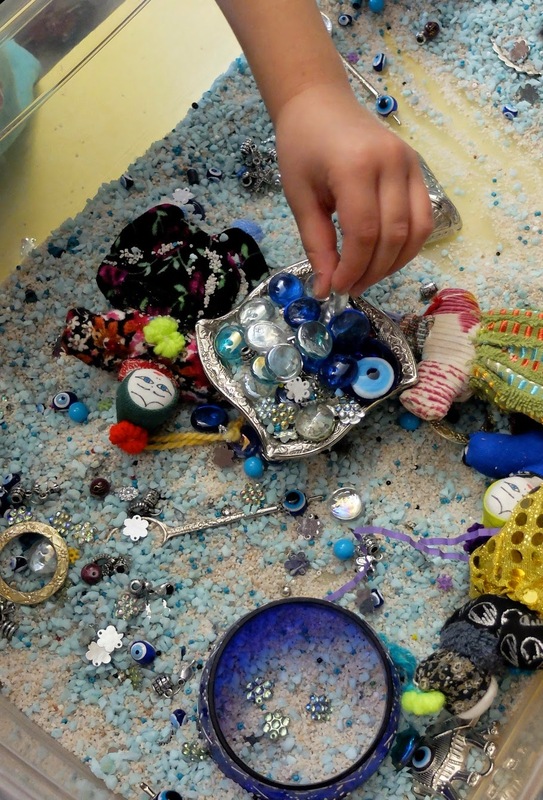 Ooh, a very lux and glitzy sensory bin! I don't think you are allowed to leave Turkey without a few in your luggage!